The Authors Behind The Author Of 'The Hypnotist' In 2009, the popular Swedish thriller came with a mystery to rival the one contained in the book. Now, as The Hypnotist is published in the United States in the wake of the success of Steig Larsson's novels, the authors talk about why Swedish writers are drawn to dark subject matter. Alexander and Alexandra Coelho Ahndoril, better known to readers by their pen name, Lars Kepler, the author of The Hypnotist. There's something about the frozen vistas and the unpronounceable street names of Sweden that seem to lend themselves to crime fiction. Stieg Larsson proved the point with The Girl with the Dragon Tattoo trilogy. And now comes a new thriller tipped to be this summer's Nordic hit. It's called The Hypnotist. It's by the Swedish writer Lars Kepler. Except it turns out Lars Kepler doesn't actually exist. He's a pseudonym for the husband-and-wife writing team of Alexander Ahndoril and Alexandra Coelho Ahndoril. "I am Lars," Alexandra tells NPR's Mary Louise Kelley. "And I am Kepler," Alexander continues. "Lars Kepler is not Alexandra or Alexander. It's us two writing crime fiction together," Alexandra said. The duo reveals that because each was already a published writer in Sweden, they wanted to create a new identity through which to write crime novels. "We actually wanted to stay secret forever," Alexander said. "That was the idea, but it lasted for three weeks." The true identity of Lars Kepler — whose name is a joint tribute to Stieg Larsson, author of the Girl With the Dragon Tattoo books, and German scientist Johannes Kepler — kept the Swedish media enthralled, until a journalist was able to track down the couple in their summer home. "They even had a telephone line where you could call and give tips about who Lars Kepler was," Alexandra said. In The Hypnotist, a Stockholm family is brutally murdered and the only surviving witness is the family's teenaged son. In critical condition, the son is too weak to talk, and the investigators of the case decide to hypnotize him in the hopes of leading him to provide clues as to the identity of the murderer. "One thing that we were really fascinated with was getting inside the head of the perpetrator," Alexandra says. "We thought that a hypnotist can actually get inside the head of a person and see the memories and the hidden, hidden things." The violence in the book is largely carried out by women and children, a decision the couple says was crucial because they aspired to write about things that scared them. They have three daughters and during the writing of The Hypnotist, they fed off the "frightening" thought of their daughters turning evil. "You will experience a book as scary when you care for the people in the book, and then you don't want anything bad to happen to them, and that's how we felt when we wrote the book," Alexandra says. "We were so scared ourselves." Alexander notes that Swedish crime literature seems to traffic in darker subject matter than Americans are used to. "In some way the Swedish society is a very good society, almost perfect on the surface," he said. "That is something that makes the writers forced to see what is underneath the surface ... We do feel safe in Sweden. That's why we can --"
"Write these terrible books," Alexandra continues. "And explore what is frightening in the world," Alexander finishes. In Greek mythology, the god Hypnos is a winged boy with poppy seeds in his hand. His name means "sleep." He is the twin brother of Thanatos, death, and the son of night and darkness. The term hypnosis was first used in its modern sense in 1843 by the Scottish surgeon James Braid. He used this term to describe a sleeplike state of both acute awareness and great receptiveness. Even today, opinions vary with regard to the usefulness, reliability, and dangers of hypnosis. This lingering ambivalence is presumably owing to the fact that the techniques of hypnosis have been exploited by con men, stage performers, and secret services all over the world. From a purely technical point of view, it is easy to place a person in a hypnotic state. The difficulty lies in controlling the course of events, guiding the patient, and interpreting and making use of the results. Only through considerable experience and skill is it possible to master deep hypnosis fully. There are only a handful of recognized doctors in the world who have truly mastered deep hypnosis. Like fire, just like fire. Those were the first words the boy uttered under hypnosis. Despite life-threatening injuries — innumerable knife wounds to his face, legs, torso, back, the soles of his feet, the back of his neck, and his head — the boy had been put into a state of deep hypnosis in an attempt to see what had happened with his own eyes. "I'm trying to blink," he mumbled. "I go into the kitchen, but it isn't right; there's a crackling noise between the chairs and a bright red fire is spreading across the floor." They'd thought he was dead when they found him among the other bodies in the terraced house. He'd lost a great deal of blood, gone into a state of shock, and hadn't regained consciousness until seven hours later. He was the only surviving witness. Detective Joona Linna was certain that the boy would be able to provide valuable information, possibly even identify the killer. But if the other circumstances had not been so exceptional, it would never even have occurred to anyone to turn to a hypnotist. Erik Maria Bark is yanked reluctantly from his dream when the telephone rings. Before he is fully awake, he hears himself say with a smile, "Balloons and streamers." His heart is pounding from the sudden awakening. Erik has no idea what he meant by these words. The dream is completely gone, as if he had never had it. He fumbles to find the ringing phone, creeping out of the bedroom with it and closing the door behind him to avoid waking Simone. A detective named Joona Linna asks if he is sufficiently awake to absorb important information. His thoughts are still tumbling down into the dark empty space after his dream as he listens. "I've heard you're very skilled in the treatment of acute trauma," says Linna. He swallows a painkiller as he listens. The detective explains that he needs to question a fifteen- year- old boy who has witnessed a double murder and been seriously injured himself. During the night he was moved from the neurological unit in Huddinge to the neurosurgical unit at Karolinska University Hospital in Solna. "What's his condition?" Erik asks. The detective rapidly summarizes the patient's status, concluding, "He hasn't been stabilized. He's in circulatory shock and unconscious." "Who's the doctor in charge?" asks Erik. "She's extremely capable. I'm sure she can — "
"She was the one who asked me to call you. She needs your help. It's urgent." When Erik returns to the bedroom to get his clothes, Simone is lying on her back, looking at him with a strange, empty expression. A strip of light from the streetlamp is shining in between the blinds. "I didn't mean to wake you," he says softly. "Who was that?" she asks. "Police ... a detective ... I didn't catch his name." "I have to go to the hospital," he replies. "They need some help with a boy." "What time is it, anyway?" She looks at the alarm clock and closes her eyes. He notices the stripes on her freckled shoulders from the creased sheets. "Sleep now, Sixan," he whispers, calling her by her nickname. Carrying his clothes from the room, Erik dresses quickly in the hall. He catches the flash of a shining blade of steel behind him and turns to see that his son has hung his ice skates on the handle of the front door so he won't forget them. Despite his hurry, Erik finds the protectors in the closet and slides them over the sharp blades. It's three o'clock in the morning when Erik gets into his car. Snow falls slowly from the black sky. There is not a breath of wind, and the heavy flakes settle sleepily on the empty street. He turns the key in the ignition, and the music pours in like a soft wave: Miles Davis, "Kind of Blue." He drives the short distance through the sleeping city, out of Luntmakargatan, along Sveavägen to Norrtull. He catches a glimpse of the waters of Brunnsviken, a large, dark opening behind the snowfall. He slows as he enters the enormous medical complex, maneuvering between Astrid Lindgren's understaffed hospital and maternity unit, past the radiology and psychiatry departments, to park in his usual place outside the neurosurgical unit. There are only a few cars in the visitors' lot. The glow of the streetlamps is reflected in the windows of the tall buildings, and blackbirds rustle through the branches of the trees in the darkness. Usually you hear the roar of the superhighway from here, Erik thinks, but not at this time of night. He inserts his pass card, keys in the six-digit code, enters the lobby, takes the elevator to the fifth floor, and walks down the hall. The blue vinyl floors shine like ice, and the corridor smells of antiseptic. Only now does he become aware of his fatigue, following the sudden surge of adrenaline brought on by the call. It had been such a good sleep, he still feels a pleasant aftertaste. He thinks over what the detective told him on the telephone: a boy is admitted to the hospital, bleeding from cuts all over his body, sweating; he doesn't want to lie down, is restless and extremely thirsty. An attempt is made to question him, but his condition rapidly deteriorates. His level of consciousness declines while at the same time his heart begins to race, and Daniella Richards, the doctor in charge, makes the correct decision not to let the police speak to the patient. Two uniformed cops are standing outside the door of ward N18; Erik senses a certain unease flit across their faces as he approaches. Maybe they're just tired, he thinks, as he stops in front of them and identifies himself. They glance at his ID, press a button, and the door swings open with a hum. Daniella Richards is making notes on a chart when Erik walks in. As he greets her, he notices the tense lines around her mouth, the muted stress in her movements. "Have some coffee," she says. "Do we have time?" asks Erik. "I've got the bleed in the liver under control," she replies. A man of about forty-five, dressed in jeans and a black jacket, is thumping the coffee machine. He has tousled blond hair, and his lips are serious, clamped firmly together. Erik thinks maybe this is Daniella's husband, Magnus. He has never met him; he has only seen a photograph in her office. "Is that your husband?" he asks, waving his hand in the direction of the man. "What?" She looks both amused and surprised. "I thought maybe Magnus had come with you." "No," she says, with a laugh. "I don't believe you," teases Erik, starting to walk toward the man. "I'm going to ask him." Daniella's cell phone rings and, still laughing, she flips it open, saying, "Stop it, Erik," before answering, "Daniella Richards." She listens but hears nothing. "Hello?" She waits a few seconds, then shrugs. "Aloha!" she says ironically and flips the phone shut. Erik has walked over to the blond man. The coffee machine is whirring and hissing. "Have some coffee," says the man, trying to hand Erik a mug. The man smiles, revealing small dimples in his cheeks, and takes a sip himself. "Delicious," he says, trying once again to force a mug on Erik. The man takes another sip, studying Erik. "Could I borrow your phone?" he asks suddenly. "If that's okay. I left mine in the car." "And now you want to borrow mine?" Erik asks stiffly. The blond man nods and looks at him with pale eyes as gray as polished granite. "You can borrow mine again," says Daniella, who has come up behind Erik. He takes the phone, looks at it, then glances up at her. "I promise you'll get it back," he says. "You're the only one who's using it anyway," she jokes. He laughs and moves away. "He must be your husband," says Erik. "Well, a girl can dream," she says with a smile, glancing back at the lanky fellow. Suddenly she looks very tired. She's been rubbing her eyes; a smudge of silver-gray eyeliner smears her cheek. "Shall I have a look at the patient?" asks Erik. "As I'm here anyway," he hastens to add. "Erik, I really do want your opinion, I'm not at all sure about this one." Daniella Richards opens the heavy door and he follows her into a warm recovery room leading off the operating theater. A slender boy is lying on the bed. Despite his injuries, he has an attractive face. Two nurses work to dress his wounds: there are hundreds of them, cuts and stab wounds all over his body, on the soles of his feet, on his chest and stomach, on the back of his neck, on the top of his scalp, on his face. His pulse is weak but very rapid, his lips are as gray as aluminum, he is sweating, and his eyes are tightly closed. His nose looks as if it is broken. Beneath the skin, a bleed is spreading like a dark cloud from his throat and down over his chest. Daniella begins to run through the different stages in the boy's treatment so far but is silenced by a sudden knock at the door. It's the blond man again; he waves to them through the glass pane. "OK," says Erik. "If he isn't Magnus, who the hell is that guy?" Daniella takes his arm and guides him from the recovery room. The blond man has returned to his post by the hissing coffee machine. "A large cappuccino," he says to Erik. "You might need one before you meet the officer who was first on the scene." Only now does Erik realize that the blond man is the detective who woke him up less than an hour ago. His drawl was not as noticeable on the telephone, or maybe Erik was just too sleepy to register it. "Why would I want to meet him?" "So you'll understand why I need to question — "
Joona Linna falls silent as Daniella's mobile starts to ring. He takes it out of his pocket and glances at the display, ignoring her outstretched hand. "It's probably for him anyway," mutters Daniella. "Yes," Joona is saying. "No, I want him here. ... OK, but I don't give a damn about that." The detective is smiling as he listens to his colleague's objections. "Although I have noticed something," he chips in. The person on the other end is yelling. "I'm doing this my way," Joona says calmly, and ends the conversation. He hands the phone back to Daniella with a silent nod of thanks. "I have to question this patient," he explains, in a serious tone. "I'm sorry," says Erik. "My assessment is the same as Dr. Richards'." "When will he be able to talk to me?" asks Joona. "Not while he's in shock." "I knew you'd say that," says Joona quietly. "The situation is still extremely critical," explains Daniella. "His pleural sack is damaged, the small intestine, the liver, and — "
A policeman wearing a dirty uniform comes in, his expression uneasy. Joona waves, walks over, and shakes his hand. He says something in a low voice, and the police officer wipes his mouth and glances apprehensively at the doctors. "I know you probably don't want to talk about this right now," says Joona. "But it could be very useful for the doctors to know the circumstances." "Well," says the police officer, clearing his throat feebly, "we hear on the radio that a janitor's found a dead man in the toilet at the playing field in Tumba. Our patrol car's already on Huddingevägen, so all we need to do is turn and head up toward the lake. We figured it was an overdose, you know? Jan, my partner, he goes inside while I talk to the janitor. Turns out to be something else altogether. Jan comes out of the locker room; his face is completely white. He doesn't even want me to go in there. So much blood, he says three times, and then he just sits down on the steps. ..."
The police officer falls silent, sits in a chair, and stares straight ahead. "Can you go on?" asks Joona. "Yes. ... The ambulance shows up, the dead man is identified, and it's my responsibility to inform the next of kin. We're a bit short-staffed, so I have to go alone. My boss says she doesn't want to let Jan go out in this state; you can understand why." Erik glances at the clock. "You have time to listen to this," says Joona. The police officer goes on, his eyes lowered. "The deceased is a teacher at the high school in Tumba, and he lives in that development up by the ridge. I rang the bell three or four times, but nobody answered. I don't know what made me do it, but I went around the whole block and shined my flashlight through a window at the back of the house." The police officer stops, his mouth trembling, and begins to scrape at the arm of the chair with his fingernail. "Please go on," says Joona. "Do I have to? I mean, I ... I ..."
"You found the boy, the mother, and a little girl aged five. The boy, Josef, was the only one who was still alive." "Although I didn't think ..." He falls silent, his face ashen. Joona relents. "Thank you for coming, Erland." The police officer nods quickly and gets up, runs his hand over his dirty jacket in confusion, and hurries out of the room. "They had all been attacked with a knife," Joona Linna says. "It must have been sheer chaos in there. The bodies were ... they were in a terrible state. They'd been kicked and beaten. They'd been stabbed, of course, multiple times, and the little girl ... she had been cut in half. The lower part of her body from the waist down was in the armchair in front of the TV." His composure finally seems to give. He stops for a moment, staring at Erik before regaining his calm manner. "My feeling is that the killer knew the father was at the playing field. There had been a soccer match; he was a referee. The killer waited until he was alone before murdering him; then he started hacking up the body — in a particularly aggressive way — before going to the house to kill the rest of the family." "It happened in that order?" asks Erik. "In my opinion," replies the detective. Erik can feel his hand shaking as he rubs his mouth. Father, mother, son, daughter, he thinks very slowly, before meeting Joona Linna's gaze. "The perpetrator wanted to eliminate the entire family." Joona raises his eyebrows. "That's exactly it. ... A child is still out there, the big sister. She's twenty- three. We think it's possible the killer is after her as well. That's why we want to question the witness as soon as possible." "I'll go in and carry out a detailed examination," says Erik. "But we can't risk the patient's life by — "
"I understand that. It's just that the longer it takes before we have something to go on, the longer the killer has to look for the sister." "Why don't you locate the sister, warn her?" "We haven't found her yet. She isn't in her apartment in Sundbyberg, or at her boyfriend's." "Perhaps you should examine the scene of the crime," says Daniella. "Why don't you go over there and tell them to get a move on?" she says, irritably. "It's not going to yield anything anyway," says the detective. "We're going to find the DNA of hundreds, perhaps thousands, of people in both places, all mixed up together." "I'll go in a moment and see the patient," says Erik. Joona meets his gaze and nods. "If I could ask just a couple of questions. That might be all that's needed to save his sister." Erik Maria Bark returns to the patient. Standing in front of the bed, he studies the pale, damaged face; the shallow breathing; the frozen gray lips. Erik says the boy's name, and something passes painfully across the face. "Josef," he says once again, quietly. "My name is Erik Maria Bark. I'm a doctor, and I'm going to examine you. You can nod if you like, if you understand what I'm saying." The boy is lying completely still, his stomach moving in time with his short breaths. Erik is convinced that the boy understands his words, but the level of consciousness abruptly drops. Contact is broken. When Erik leaves the room half an hour later, both Daniella and the detective look at him expectantly. Erik shakes his head. "He's our only witness," Joona repeats. "Someone has killed his father, his mother, and his little sister. The same person is almost certainly on the way to his older sister right now." "We know that," Daniella snaps. Erik raises a hand to stop the bickering. "We understand it's important to talk to him. But it's simply not possible. We can't just give him a shake and tell him his whole family is dead." "What about hypnosis?" says Joona, almost offhandedly. Silence falls in the room. "No," Erik whispers to himself. "I don't know anything about that," Erik replies. "How could that be? You yourself were a famous hypnotist. The best, I heard." "I was a fake," says Erik. "That's not what I think," says Joona. "And this is an emergency." Daniella flushes and, smiling inwardly, studies the floor. "I'm actually the person responsible for the patient," says Daniella, raising her voice, "and I'm not particularly keen on letting him be hypnotized." "But if it wasn't dangerous for the patient, in your judgment?" asks Joona. Erik now realizes that the detective has been thinking of hypnosis as a possible shortcut right from the start. Joona Linna has asked him to come to the hospital purely to convince him to hypnotize the patient, not because he is an expert in treating acute shock and trauma. "I promised myself I would never use hypnosis again," says Erik. "OK, I understand," says Joona. "I had heard you were the best, but ... I have to respect your decision." "I'm sorry," says Erik. He looks at the patient through the window in the door and turns to Daniella. "Has he been given desmopressin?" "No, I thought I'd wait awhile," she replies. "The risk of thromboembolic complications." "I've been following the debate, but I don't agree with the concerns; I give my son desmopressin all the time," says Erik. "How is Benjamin doing? He must be, what, fifteen now?" Joona gets up laboriously from his chair. "I'd be grateful if you could recommend another hypnotist," he says. "We don't even know if the patient is going to regain consciousness," replies Daniella. "But I'd like to try." "And he does have to be conscious in order to be hypnotized," she says, pursing her mouth slightly. "He was listening when Erik was talking to him," says Joona. "I don't think so," she murmurs. Erik disagrees. "He could definitely hear me." "We could save his sister," Joona goes on. "I'm going home now," says Erik quietly. "Give the patient desmopressin and think about trying the pressure chamber." As he walks toward the elevator, Erik slides out of his white coat. There are a few people in the lobby now. The doors have been unlocked; the sky has lightened a little. As he pulls out of the parking lot he reaches for the little wooden box he carries with him, garishly decorated with a parrot and a smiling South Seas native. Without taking his eyes off the road he flips open the lid, picks out three tablets, and swallows them quickly. He needs to get a couple of hours of sleep yet this morning, before waking Benjamin and giving him his injection. 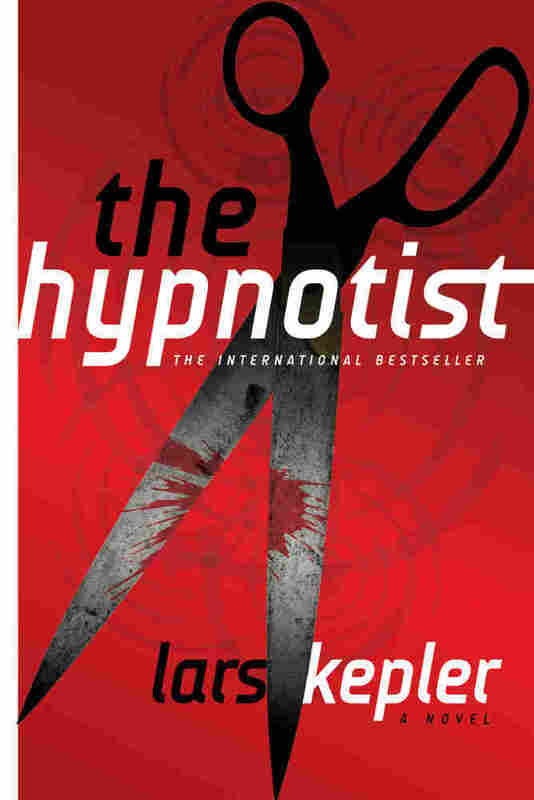 Excerpted from The Hypnotist by Lars Kepler. 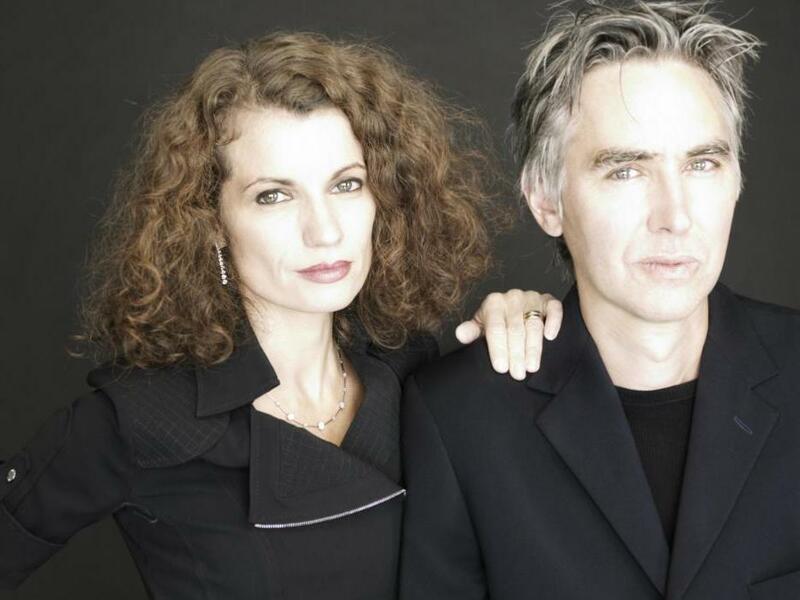 Copyright 2009 by Lars Kepler. Translation copyright 2011 by Ann Long. Excerpted by permission of Farrar, Straus and Giroux. All rights reserved.